Trained by Mozart and Haydn, Johann Nepomuk Hummel enjoyed the highest reputation as a composer and virtuoso performer of his day. His piano trios are characterised by their richness of sonority, good humour and flowing melodic inventiveness. 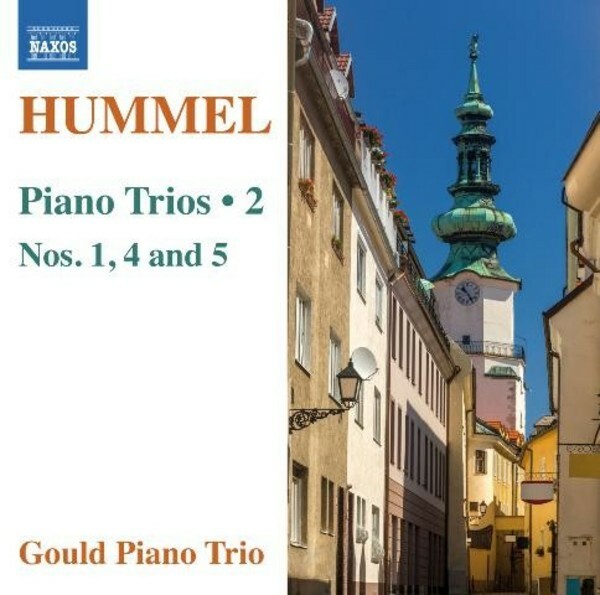 While the influence of Beethoven can be heard, Hummel�s own creative voice is highly distinctive. The early Piano Trio, Op.12 exudes the atmosphere of Vienna at the turn of the 19th century, and the Grand Trio is a concerto in all but name, the demands on the pianist expressly designed for its dedicatee Johann Baptist Cramer.